ADACOM’s Managed Endpoint Detection and Response Services (MDR) provides the most cost effective & efficient way to secure an organization’s information assets and continuously monitor & access cyber threats and anomalous activities. The most comprehensive endpoint security platform available. If a threat has bypassed the organization’s security perimeter, we will track it, disable it and analyze its origins. A single enterprise-grade solution meeting all security needs including Endpoint Detection & Response, User & Entity Behavior Analytics, Network Analytics, Deception and a 24/7 Real Time Monitoring and Alerting service. Cover any number of endpoints in minutes, with no installation and minimal investment of time and resources. Gain visibility across the internal network, protect against attacks including ransomware, malware, insider threats and previously unknown threats. Rapid, automated response and remediation, ensures highest level security, regardless of the threat. Managed Prevention, Detection & Response – The platform rapidly deploys and detects threats across thousands of endpoints. 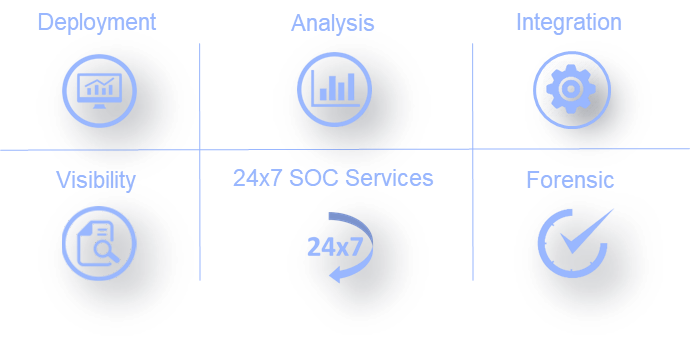 As part of a comprehensive solution, the service correlates indicators and provides full visibility across the entire enterprise. User & Entity Behavior Analytics (UEBA) – The ADACOM MDR Service UEBA capabilities help IT security teams identify rogue insiders, compromised accounts and targeted attacks before the damage is done. Network Behavior Analytics – The ADACOM MDR Service provides full visibility into and analysis of network traffic and activity across the organization. UBA Verification – The service also includes UBA Verification provides enterprise security teams with the ability to analyze user activity and ensure that those accessing organizational assets are who they say they are. Incident Response – The MDR Service provides organizations under attack with 24/7 global Incident Response, led by a team of highly seasoned security experts. 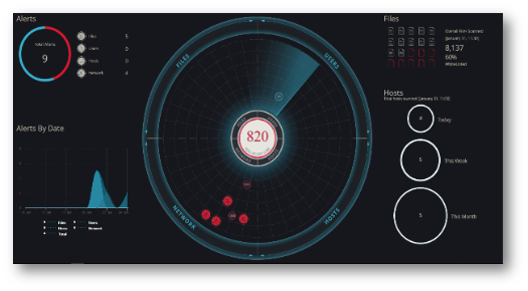 Threat Intelligence – The MDR Service utilizes 20 internal and external databases containing the latest information in Threat Intelligence, as well as integrating input from IOCs. This provides organizations with an extra layer of protection against suspicious and malicious activities. 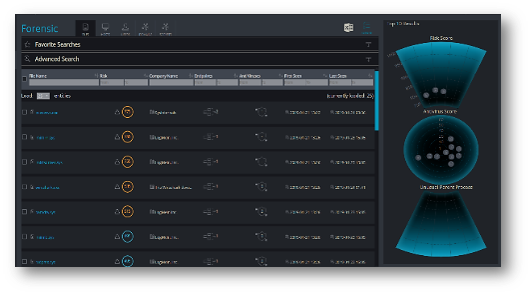 Forensics – The MDR Service provides easy tracking of alerts, threats and associated processes within the friendly GUI. IT Security teams easily manage deep dive forensic investigations, enabling them to rapidly identify and investigate suspicious incidents. Deception – The MDR Service strategically places decoy files, folders, servers and shares, luring an attacker to pre-deployed traps. Tracking mechanisms then monitor and provide a clear picture of attacker activity. ADACOM SOC is certified and accredited against ISO 27001, NATO/EU SECRET, eIDAS, etc.